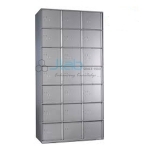 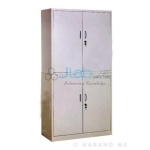 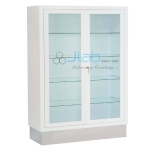 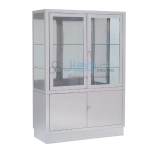 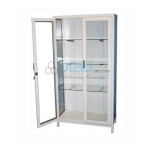 Jlab is renowned Medical Cabinets Cupboards Manufacturer, Medical Cabinets Cupboards Suppliers, Medical Cabinets Cupboards Exporter, Hospital Surgical Equipments, Medical Cabinets Cupboards India. 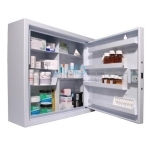 Hospital Instrument Cabinet Hospital Instrument Cabinet are Size: 960 &#65533; 400 &#65533; 1750 mm. 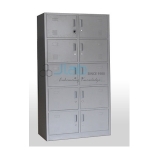 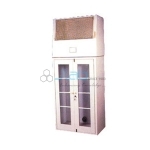 Hospital Instrument Cabinet are Epoxy coated mild steel framework. 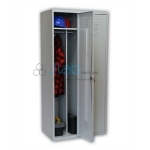 Whole Cabinet made of cold rolled steel sheet duly powder coated inside & outside for longer life durability.